February 1, 2015, the fourth Sunday after Epiphany, we continue our welcome to our new Rector, The Reverend Elizabeth G. Maxwell. We invite everyone to join us for services this week. Sunday services are: 9am Holy Eucharist at Side Altar; 11am Holy Eucharist in the church with sermon, music & choir; 7pm Service of Meditations and Sacrament including chant, interfaith readings and communion. The 11am service includes special music by the Ascension choir (see music listing on sidebar). Mtr. 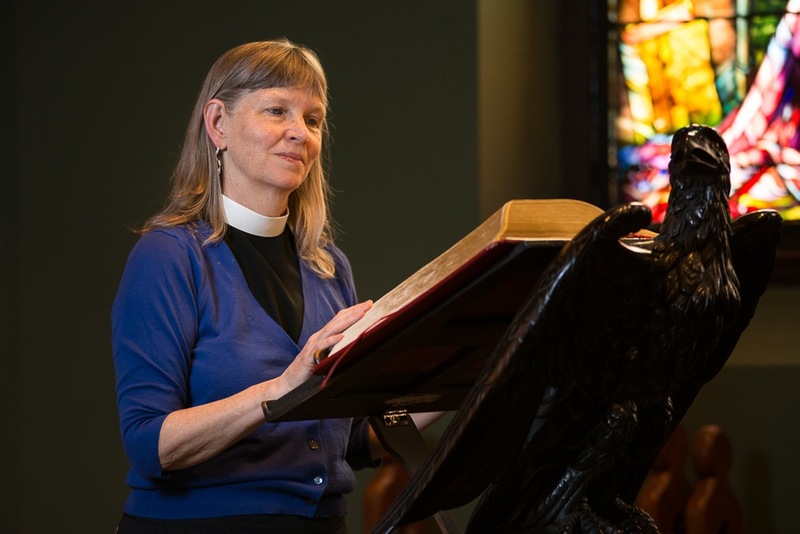 Liz has lived and worked in Manhattan for 25 years, first as Associate Rector of the Church of the Holy Apostles in Chelsea, which also made her Program Director of the Holy Apostles Soup Kitchen (the largest emergency feeding program in New York City), and then as Interim Pastor of St. Michael’s Church on the Upper West Side. She is delighted to join with the people of Ascension in discovering and witnessing to the gospel in the heart of Greenwich Village.